Okay, if you are still with us, here is what we can share: Russell is a middle schooler; he excessively doodles; he has two best friends, Charlotte and Preston; he is not so great at sports; and he is pond scum. 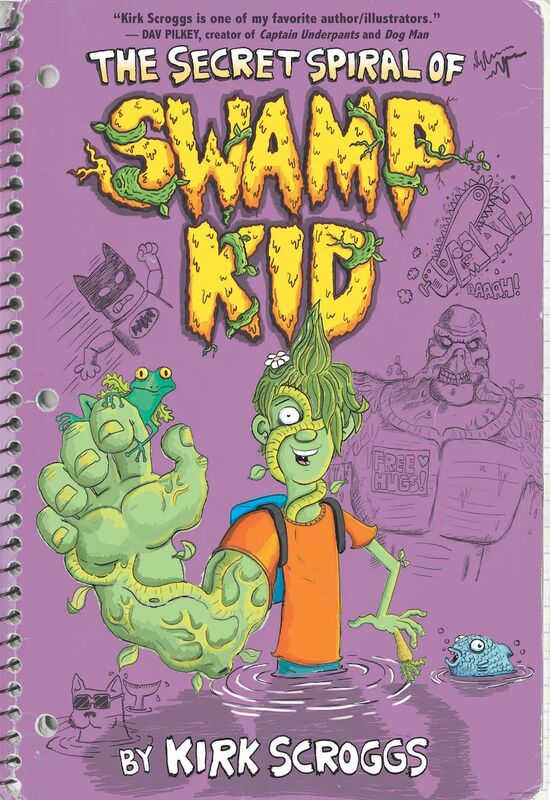 Nicknamed “Swamp Kid” by his classmates, Russell has algae for hair, a tree trunk for a right arm, and a carrot for a finger. Also, Russell’s favourite meal is sunlight. Also, a frog lives in his arm. In this notebook, Russell details in both hilarious text and colour illustrations (complete with ketchup stains!) what it’s like to be different, to discover his true talents, to avoid the intense stare of Mr. Finneca (his suspicious science teacher who may also be a mad scientist), and to find humour in the everyday weird.